Randall Liss is a long time seasoned veteran of the exchange traded options industry. He helped found the European Options Exchange in Amsterdam in 1978 (now part of Euronext). Randall traded as a market-maker on the floor of the exchange from 1986 until the trading floor closed. He was an elected member of the Board of Directors, a long time member of the Business Conduct Committee and a co-founder of The Market-Makers Association. He ran a market-making operation for a large Dutch bank and also managed his own market-making firm. 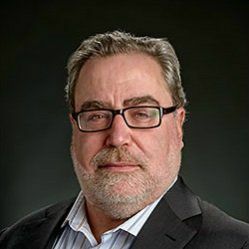 Since 2006, Randall has devoted his energy to educating and mentoring traders, investment clubs, individuals and institutions using his own proprietary curriculum, The Theory and Working Method of Trading Options. Randall has lectured in Amsterdam, Brussels, Paris, London, Tel Aviv, Jerusalem, New York and Chicago on a variety of investment and derivative strategies. He is also an on camera options analyst for Bloomberg TV and the Business News Network. His clients include ABN AMRO Options Clearing, Options Express, Columbia College, The Chicago Institute of Investment, The Options Tribe and many private individuals and investment clubs. Randall strongly believes in demystifying the options market and making the seemingly complex understandable. Randall earned a bachelor's degree from Drake University.